You will not find many things this Halloween more disturbing and haunting than this American Horror Story Bloody Face Mask. The mask features sparing, brown strands of hair dangling from the top, side, and opening of the mask. Blood splatters follow along the mouth and eye cuts. 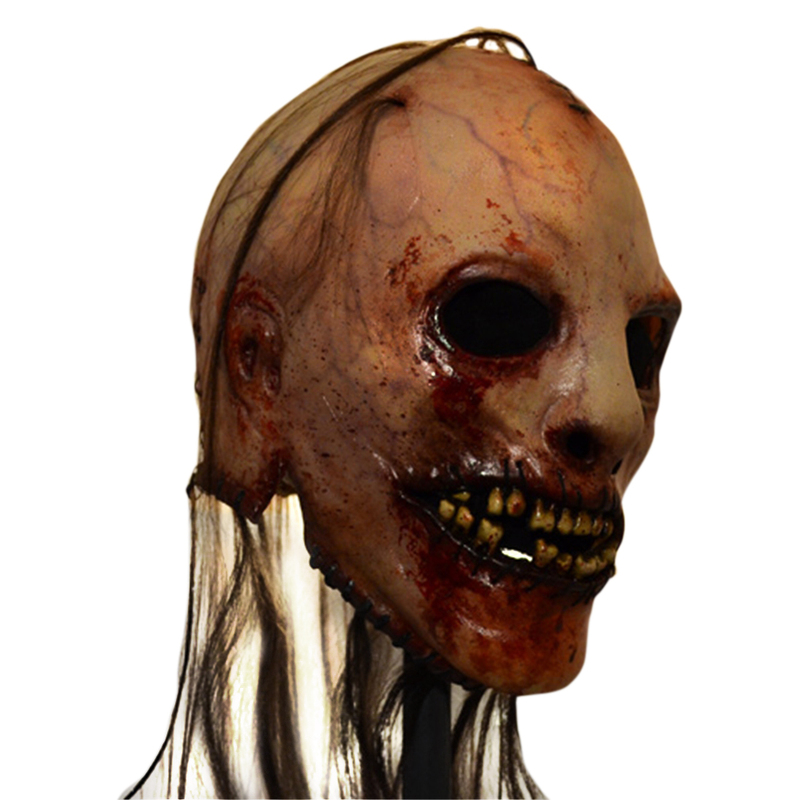 Faintly-painted veins detail the right side of the mask and a deformed ear adds to the gruesomeness. Black stitch work follows along the lips and opening. 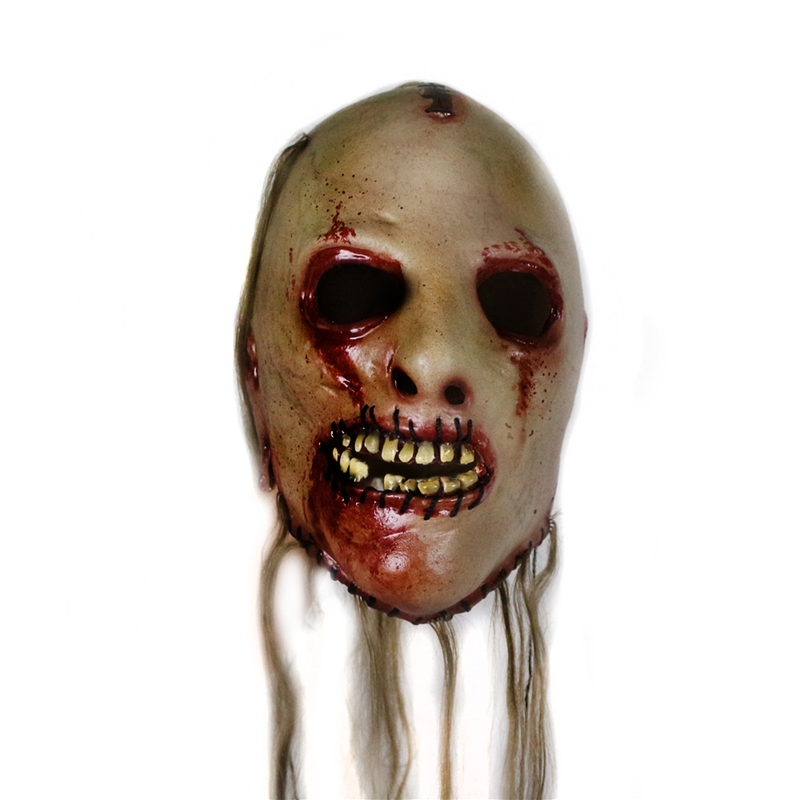 This nightmarish mask is a haunting accessory for fans of the television series American Horror Story or individuals looking for something grisly to scare and terrify others.